25 Aug 2018 Kent, WA – Unlike the first two Saturday races, this the last of the season became a battle of “wills”, Ed Garfield and his drag crew (vs) “Mother Nature”. Yes, this was an all-day event with the cutoff at 11:00pm. Traveling from both ends of the track the spattering of drops would bring action to a halt. Do not know the time it takes to go thru the run order, but the weather seemed to stop each time the Jr.’s turn came up, bringing out the bumper-shoots or flat out scurry to their pits seeking cover. Each one of these “raindrops” had the track start over with track drying and prep. The extra time works against the curfew which works against the run order. Time became a factor as the race needed to finish to determine who will race for the “King of the Track” and points were close and win or lose added into the mix of possibilities. After moving the run order around and getting the finals finished in each class as fast as the racers could “cool” down, did push the King of the Track final right to the witching hour and showed “Mother Nature”- “WE Will Win” this fight. Tons of great images are now online – click here to go the photo album. “King of the Track” Brian McGinnis. – CONGRATS!! 24 Aug 2018 Kent, WA – As the Car Club Events hit the track this season its car count has grown, and the series has evolved into a fine race between the car makers. My Chevy is faster than your Dodge and that Ford, you know those words or something like that goes on in the pits. The friendship between all these racers is on display with laughter and aiding those in need when necessary. The same can be said of the Jr.’s when they are together though the topics are as you can expect quite different though their hearing brings them to the lanes on one call over the P.A. One more race to their season to bring them to an even dozen for their season. Images from Event #11 are now available – click here to go to the photo album. Trenton Smith in Jr. Street. 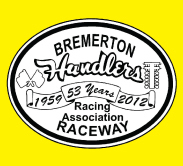 22 Aug 2018 Kent, WA – Nearly a month between races, the longest in the bike series, brought the scooters back to the dragstrip for some mid-week action. A pretty steady group in this bunch with new racers joining in as this program sponsored by Olympic Ironworks MC and its owner Gary Tokos. Besting the group and ending in the winner’s circle a new rider grabbed the goodies – John Goms, who threw down a perfect triple zero reaction time and ran so close to his dial-in to top Tom Misfeldt in the last race of the season. Till the next race have a great off season. Images of the final event of the 2018 Olympic Ironworks Motorcycle Series are now online. Click here to go to the photos. 11 Aug 2018 Kent, WA – Race number twelve of the Swift Tools ET Series brought some conditions together that were planned and some were not. With a big race going on in Boise and Mother Nature threats resulted in the lowest car count for a Swift Tool race. Overnight rain started the drag crew on the removing gallons of water from the track with the new scrubber and watering the parched grass in the process as the rainfall has been sparse for the last three months. Racers lined up and going thru qualifying Mother Nature struck again – soaking everything though later she turned around and helped dry everything with a cloudless sky. It was a welcome sight the racing got going thru eliminations into the night. Images are now online – click here to go to the photo album. 14 July 2018 Kent, WA – Summer is in full mode in the northwest and all the tracks are in action. At the beginning of the season the racers look at all the schedules from the area tracks and plan their race season. The Swift Tools ET Series at Pacific Raceways is on the top of most the team’s lists for the year. Choosing to go here or there is a personal choice on your goals for the season and your summer vacation plans for the family. These choices will have an impact on the car count at each track, some will be packed with entries and others will be down. This ebb and flow is the unknown to the track operators who have to prepare for a full house each and every race. This does not include what the weather is doing on those dates, another fact that impacts what decisions the racers make. 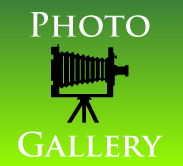 Images are now available – click here!